[dropcap type=”3″]A[/dropcap]lmost ten years ago, US chefs were dazzled by a fruit coming all the way from Japan. “The sexiest fruit”, as they used to describe it, was used in many recipes. Its actual name? Yuzu. Yet the mystery behind it remained since only a very few of their costumers new exactly what it was. It wasn’t until a year ago, however, that this mysterious ingredient was introduced to Europe and more specifically in France. Jerome Banctel, a chef in a two Michelin-star restaurant in Paris, fell in love with Yuzu just like his fellow US colleagues did. And, he is eager that the French will also become smitten by it. But what exactly is Yuzu and most importantly, why do chefs love it so much? 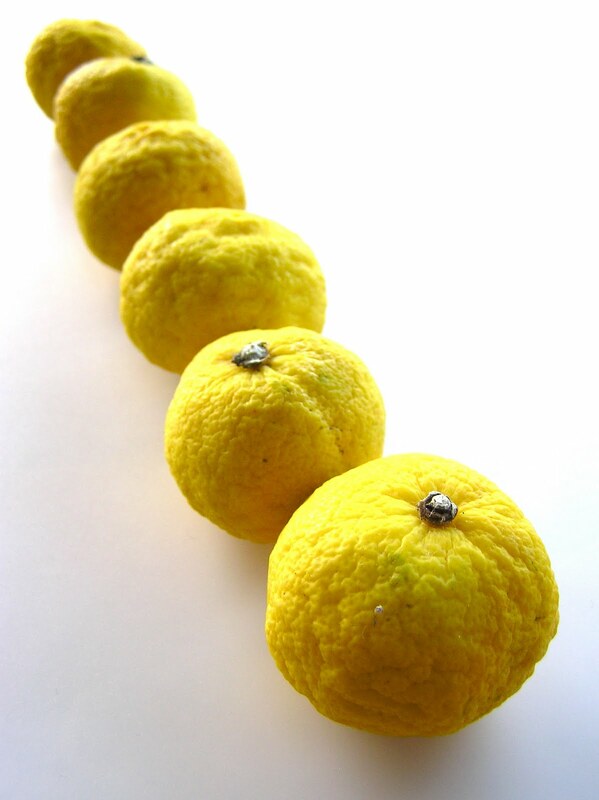 Yuzu is a highly aromatic citrus used regularly in Japanese cuisine. It is cultivated more intensely in Japan but has its origins in China where it grows wild as it does in Tibet also. It is small, almost the size of a billiard ball, with an uneven, slightly wrinkly skin. Like any citrus, it starts off green but as it ripens it becomes bright yellow. When you cut it open you immediately see that its numerous seeds leave little room for the actual fruit flesh so it is not a surprise that the amount of juice you can squeeze out of one fruit is very little. Full of aroma and… seeds! Its appearance is not really appealing but it smells so good that you are instantly captivated. Add its unique taste to that and you can understand the chefs emthusiasm. 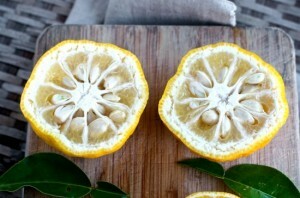 Yuzu’s taste, a blend of grapefruit’s bitterness, lemon’s sharpness and lime’s sweet and sour flavor, gives an instant vitality to the dishes added; from salads to seafood or chocolate even. Whether you use its zest or juice or seed infused oil, a small amount is enough to do wonders, replacing common lemon with huge success. The Japanese, however, do not use yuzu in the kitchen only. During the winter solstice, tradition has it that a hot Yuzu bath, known as yuzu-yu, soothes the body and mind and also brings good luck and prevents colds and illness in the coming New Year. Just put a few Yuzu fruits in your hot bath or Yuzu bathing salts in case you cannot get hold of the actual fruit, and a pleasant aroma will awaken your senses. Wash and cut Yuzu in half. Squeeze its juice into a cocktail shaker and put the rest of the fruit in the shaker also. Add all remaining ingredients, except for club soda, a few ice cubes and shake for 20 seconds. 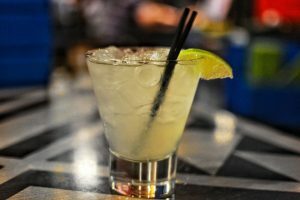 Add crushed ice into an old-fashioned glass and strain the cocktail into the glass. Top it up with club soda and garnish with a twist of Yuzu (or lime for a bit of color).